Your wedding photos are definitely one of the most important elements of your wedding and your beautiful photos will stay with you for the rest of your lives. 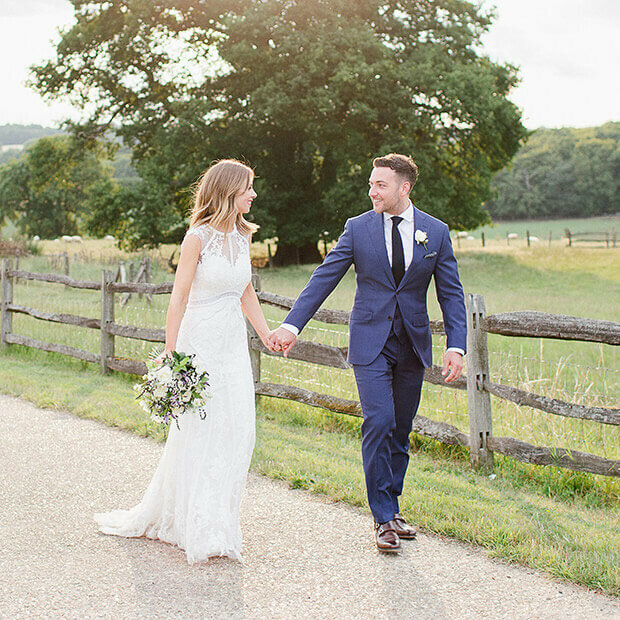 At Gaynes Park we have photographic backdrops galore plus there’s no restricted access or set timings for your photography. If there’s a rain shower or you need to wait a little longer for that sunset shot you can! So, take a look at some of our favourite photo opportunities and pick your favourites to include on your big day! If you’re getting ready in the Apple Loft, you’ll have the perfect setting for your bridal prep. Must-have shots include details of your dress, shoes and accessories, the moment you step into your dress and the reactions of your friends and family as they see you for the first time. It’s also worth including some time in your schedule for some bridal portraits too. As you make your way through the Heart Gate, along the Long Walk and down the aisle towards your wedding ceremony, candid photos will capture the excitement and emotion of the moment. You might feel too nervous (or excited!) to stop for any posed photos at this point so just let the moment unfold naturally and trust your photographer to capture the perfect shots. From the first moment you see your partner and your reactions as you each take your vows, through to the readings and your exit as newlyweds, there’s lots to photograph. Many couples often consider opting for an ‘unplugged ceremony’ and ask that guests refrain from taking their own photos. 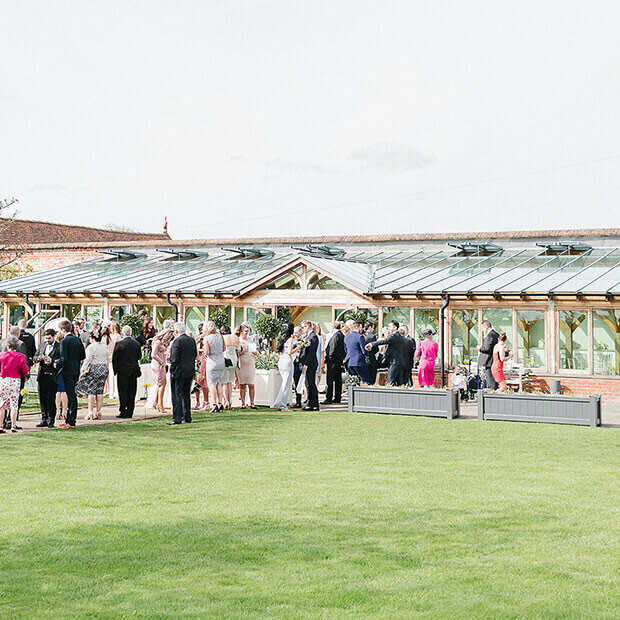 Not only do you want everyone to be fully ‘present’ but you’ll want to see your guests’ faces as you walk up the aisle in the Orangery, not their phones! During your drinks reception ask your photographer to capture moments as they happen but if there are any particular group shots or guests that you’d like photos of, friends who’ve travelled from overseas for example, tip your photographer off in advance. This is also a great time for you and your partner to sneak off around the venue and its beautiful gardens for some stunning couples’ portraits too. The confetti shot is one of the iconic images from every wedding so don’t miss this! Ask your guests to line the pathway in the Walled Garden and walk through as you’re showered with natural fluttering flower petals of confetti! You’ve been planning your big day for months and it is often the details and personal touches that can make your day unforgettable and unique to you. 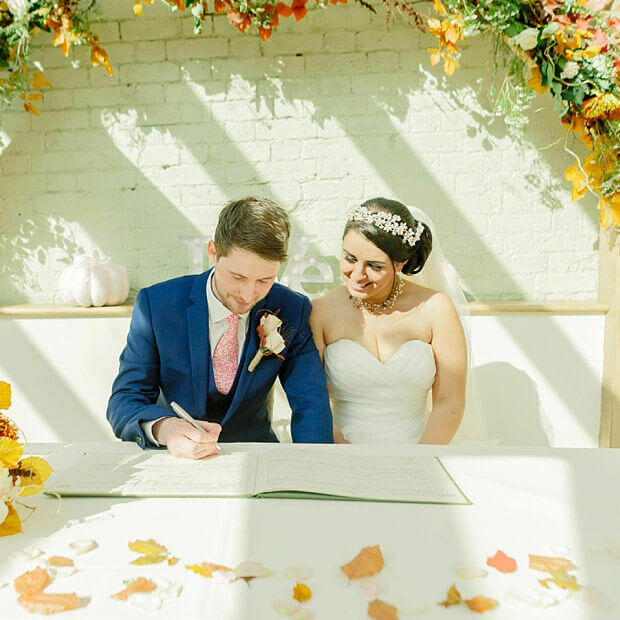 Make sure to ask your photographer to capture all your hard work, from welcome signs and your wedding breakfast set up through to favours and flowers. Whilst photos of people eating aren’t the most flattering, capturing the reactions of your guests as you enter your wedding breakfast can make for brilliant images. Most photographers will also ‘pop in’ between courses so that there are also plenty of photos of everyone chatting, laughing and enjoying themselves. Photos of your carefully chosen wedding menu are also must-haves at this point. 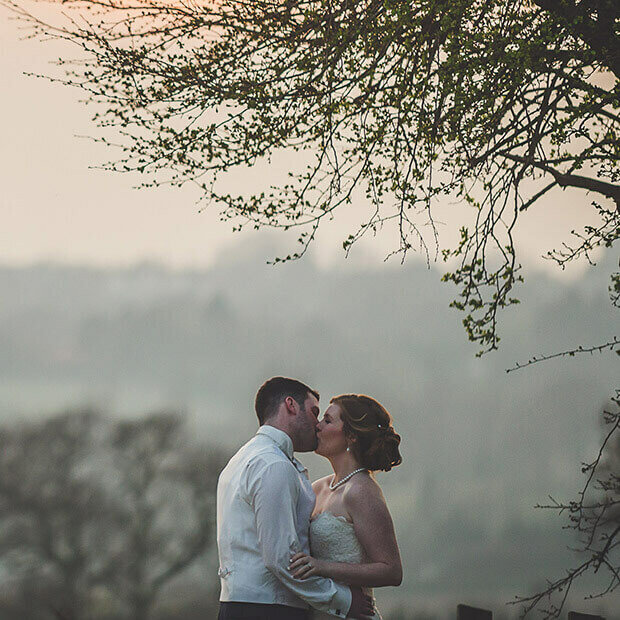 The ‘Golden Hour’ is the hour before sunset when the sky starts to glow and at Gaynes Park it is one of the most beautiful times of the day to capture incredible photos. Use this hour to wander down the entrance drive and enjoy sweeping views of the London skyline as well as the stunning surrounding countryside. It really is a photographer’s dream! Cutting your cake is such a special moment because it’s one of those things that you only ever do on your wedding day. Let your photographer get you in just the right place for the perfect picture and don’t forget to taste your cake afterwards! Whether you’ve choreographed your moves or you’re just freestyling to your favourite song, the first dance is unmissable. It can be emotional, joyous, hilarious or truly spectacular so lots of candid photos are essential. Make sure that your photographer captures the party atmosphere before they leave. Having photos of your nearest and dearest enjoying themselves on the dance floor will make you smile for years to come. And that’s exactly what you want from your wedding photos. Come and explore Gaynes Park through the seasons by visiting our gallery. Full of photos in spring, summer, autumn and winter, the gallery will give you lots of inspiration for your own wedding day. If you’re ready to find a wedding photographer who’s perfect for you, why not take a look at our list of recommended wedding suppliers?